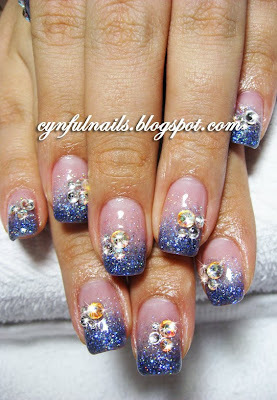 A set of really simple glitter gel nails. 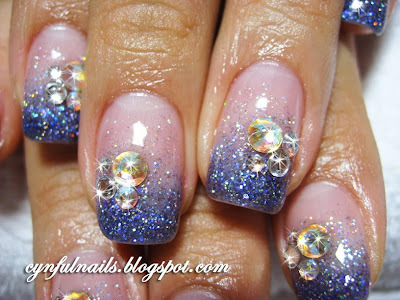 See the dark blue glitter! So mysterious and pretty!